When an invitation to try a Vegan menu arrived in my inbox - I have to say, I very nearly turned it down. I'd seen loads of people taking part in Veganuary or adopting vegan diets but as bad as it sounds, eating a plant-based diet has never really appealed to me. I've always been a big meat eater and I've never been inclined to change that. But I guess with the rise of Meat Free Mondays and more ethical, mindful eating, I sort of felt obliged to at least give it a try. 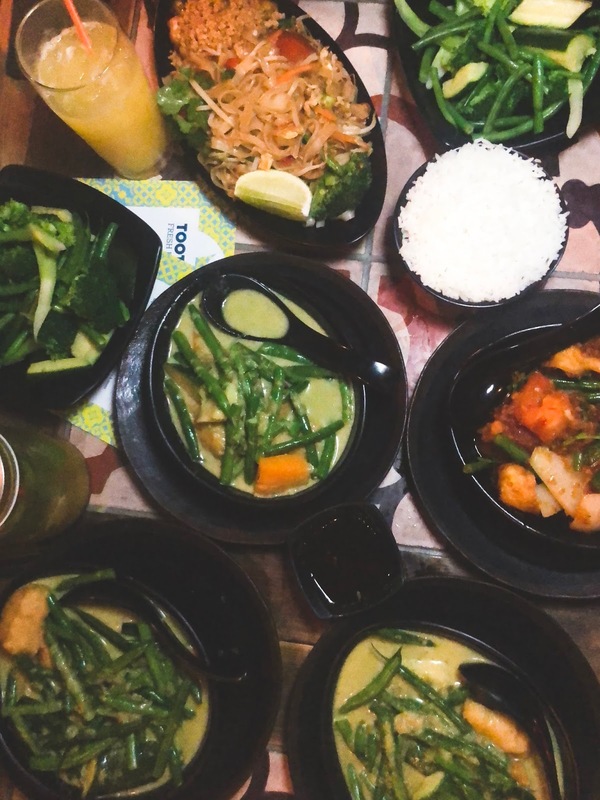 So with a hungry stomach and a mind full of skepticism, I headed down to TooTooMoo to see if this self-confessed carnivore could really enjoy a night of plant-based eating. 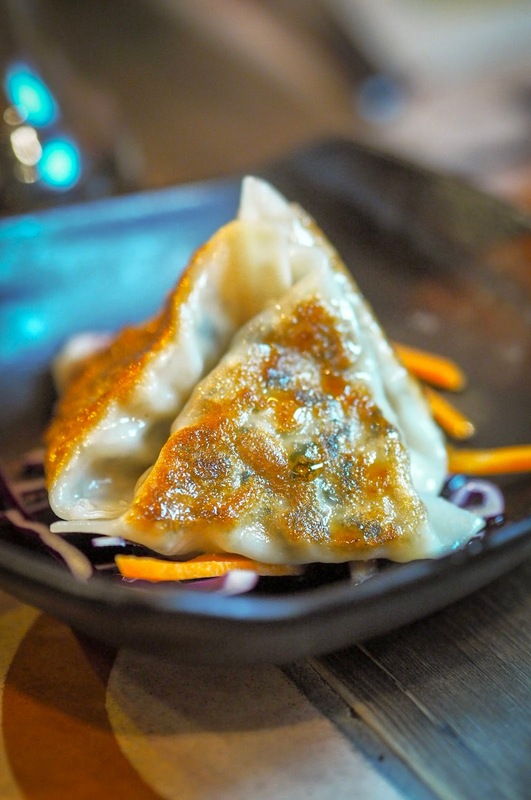 Now you might remember that I've actually visited TooTooMoo before? Way back in October 2016 and we loved their tapas-style approach to Pan-Asian Dining. 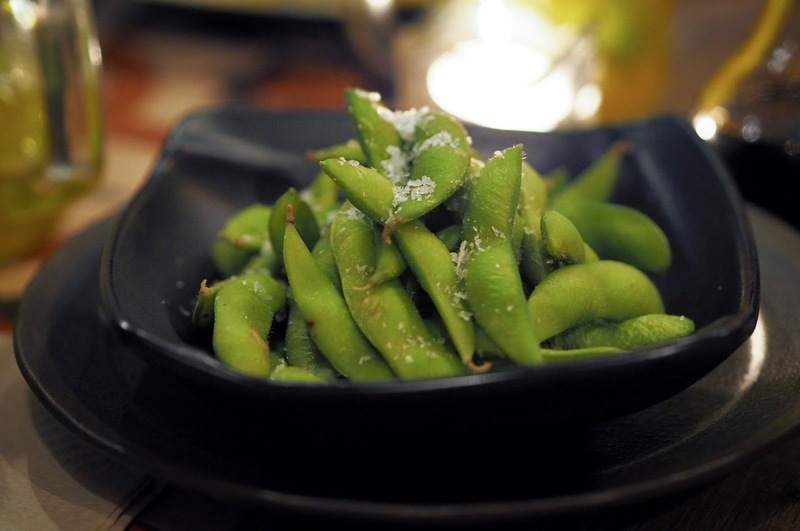 The veggie and vegan menu is built around the same concept. 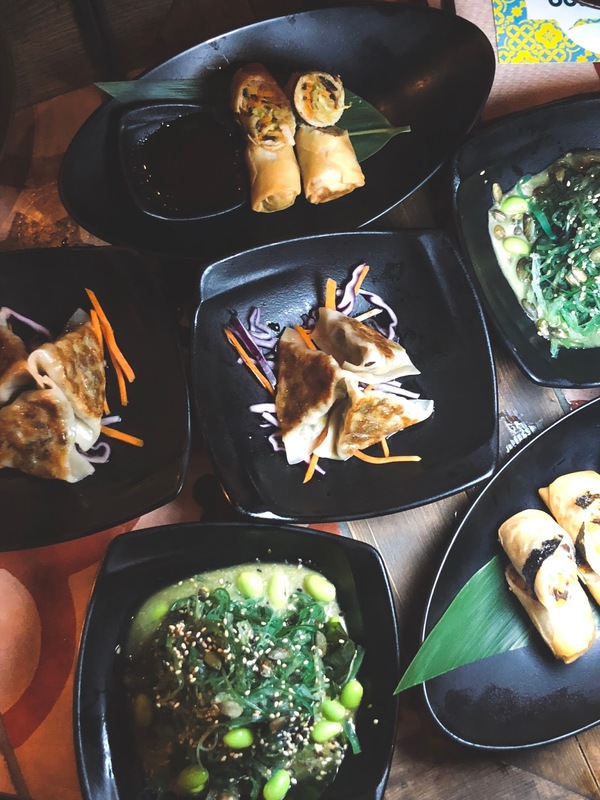 There are small plates which are designed for sharing but also larger main courses which you can either divide out between you or dig into yourself. We then shared platters of the vegan and veggie friendly starters. I loved the vegan spring rolls - hand-rolled and indulgently deep-fried wheat pastry filled with cabbage, carrot, mushroom and glass noodle. So far, so very good. The Vegetarian Potsticks were incredible too. 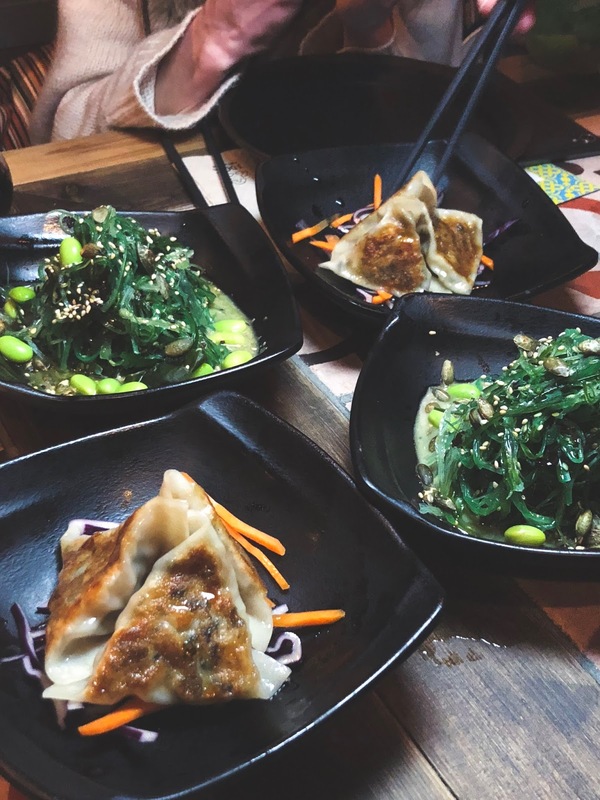 Steamed, then lightly pan-fried, pastry dumplings filled with a delicious blend of veggies including cabbage, mushroom, aubergine and miso paste. The fab thing I realised about Asian food is that a lot of your favourite starters are actually veggie friendly and you often don't realise they don't contain meat. I know I certainly didn't miss it at this stage in the meal! My absolute favourite starter though was the incredible sesame seaweed salad. 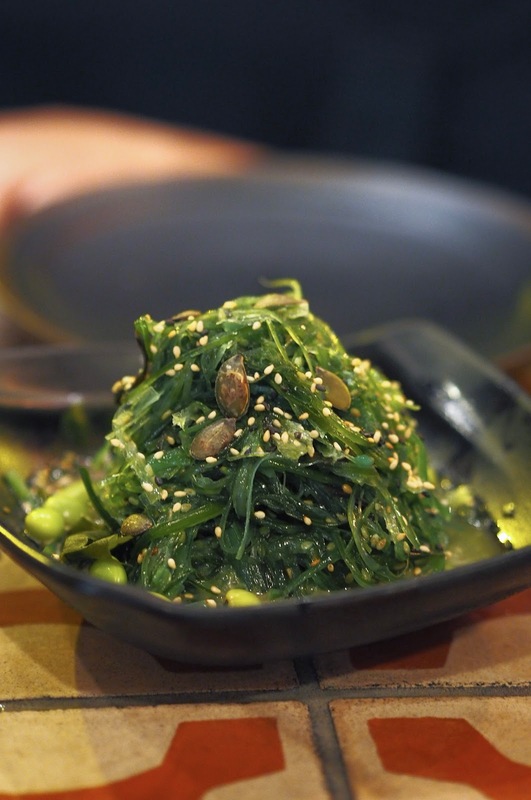 A blend of two types of seaweed which have been pickled and doused in a slightly tangy sesame, mirin and black pepper dressing. It has the most incredible texture - with just the right amount of bite - and a perfectly nutty flavour. 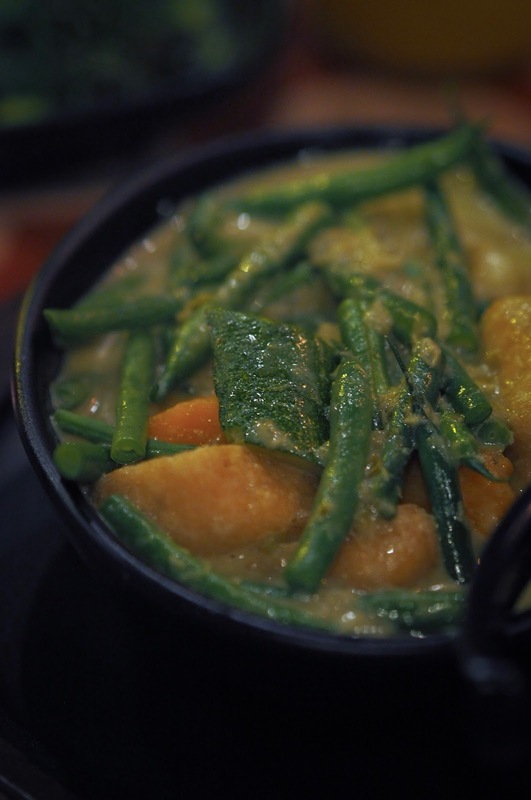 For the main courses, there's a whole range of vegan and veggie-friendly options including curries and stir-fries. 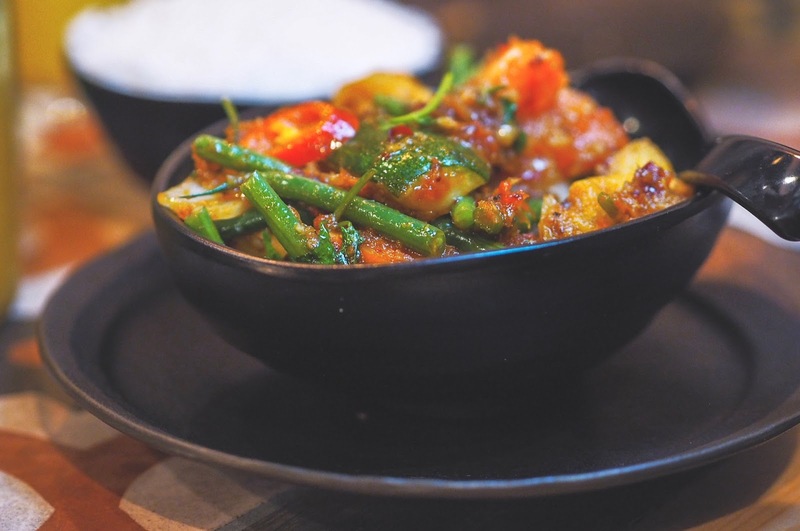 The Lemongrass Tofu is a fiery combination of broccoli, carrots, courgette, peppers and green beans stirfried with garlic chilli, galangal and plum tomatoes. It's got big, bold, punchy flavours and is certaintly robust enough to fill you up without the addition of meat. Then there's the Green Thai Curry. Now, this for me was one of the only dishes where I did actually miss meat. The curry itself is delicious. The sauce is thick and rich, created from a broth of coconut milk and a handmade curry paste but it was the tofu that I wasn't keen on. The tofu here is lightly fried so it puffs up 'till it's light and fluffy. I'm sure if you like tofu, you'd love it, but honestly, I hated the texture! I did really love the addition of lychees to the curry though which provided the perfect bite of sweetness amongst the rich, creamy curry. So, how did this meat-eater fare overall? Well, I have to say, I was really impressed. I really didn't expect to enjoy this meal as much as I did. I've always defaulted to ordering meat options from menus but this has really opened my eyes up to some of the incredible veggie and vegan options out there. Speaking to some of the incredibly passionate and knowledgable vegan bloggers at the dinner also really gave me food for thought and I have to say I am defintily considering small ways that I can reduce my meat consumption. 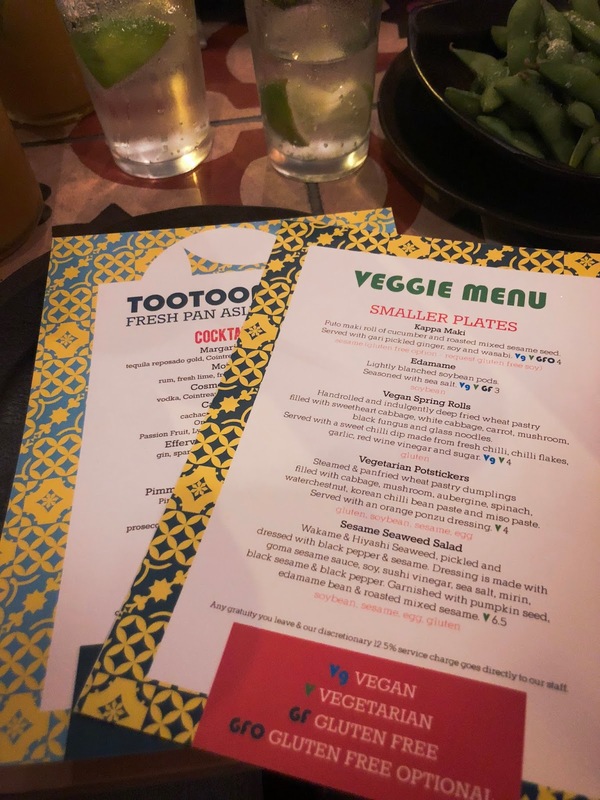 Whether you want to the new Vegan menu or their regular menu, there's four TooTooMoo restaurant's spread across London and I highly recommend a visit! You can find more details over on their website.